Goat Cheese Sweet Potato Quiche – Need I Say More? I was sold when I read the name of this recipe so you’re not alone if that just happened to you, too. It was a busy and fun weekend with equal parts cooking and exploring. More on the exploring in a later post. The cooking comes first! I really liked this recipe. Nice and dense! 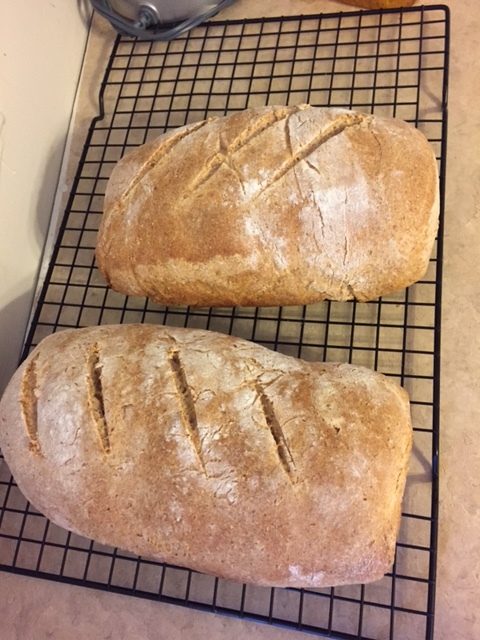 I adapted this recipe from farmgirl gourmet. Her recipe seemed intended for a much larger gathering (party of two over here!) 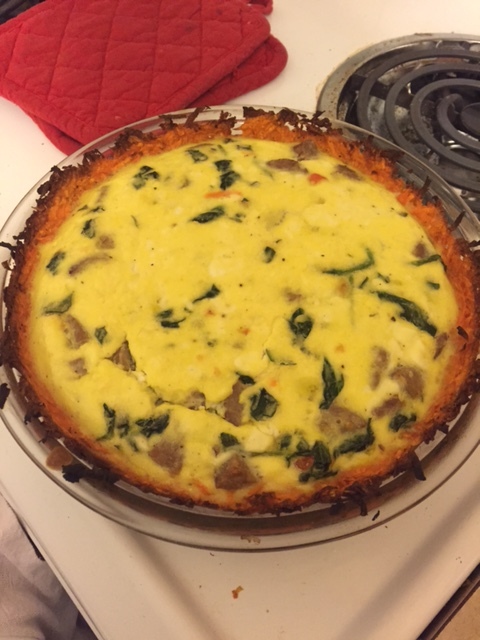 plus I like to have a lot of stuff in my quiches. Here you go! Butter the sides and bottom of a pie pan with melted butter. 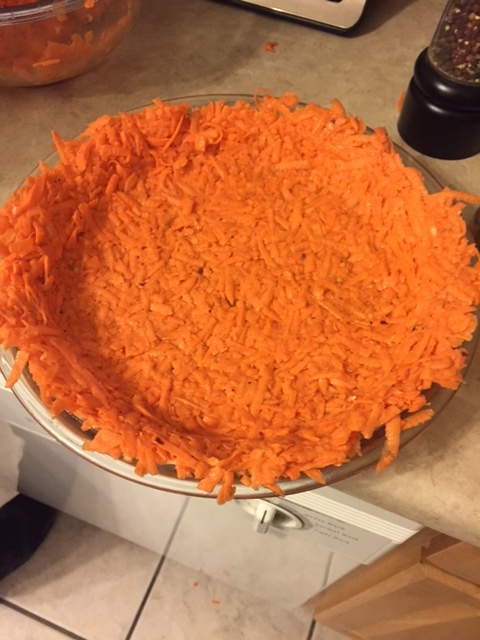 Add the grated sweet potatoes to a large piece of cheesecloth or a clean kitchen towel. Gather corners together and squeeze out excess water over the sink. This step is a pain. If you can, find a helper. I did! In another small bowl whisk together 1 egg, 1 teaspoon salt, 1 teaspoon black pepper & a pinch of crushed red pepper flakes. 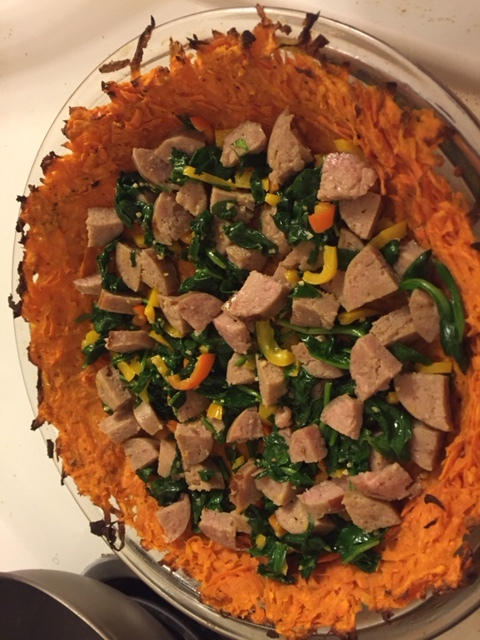 Add in sweet potatoes and mix to coat. Press into the bottom and up the sides of the prepared pan. Bake for 30 minutes. Remove from oven and allow to cool. Crust before baking- I probably could have come up higher with the crust. Also, my leftover grated sweet potato? Hash browns in the morning! Melt butter in a pan. Add garlic and sauté for a minute or two. Add the chopped bell peppers and sauté for about 3 minutes, until starting to soften. Add chopped spinach and cook until wilty. Stir in the chopped sausage. In a large bowl, add 5 eggs, greek yogurt, goat cheese, 1/2 teaspoon salt and 1/2 teaspoon pepper. Whisk well to combine. Pour and spread the your sausage veggie mix onto of your crust. Try and spread it all throughout the pie. I’m not kidding when this housemade sausage is awesome. No, I wasn’t paid to say that. Do you think I get paid for this!? Add the egg mixture without overfilling beyond the crust. Bake 15 minutes. Rotate the pan and continue cooking 10-15 minutes more. (Keep your eye on the pie! Mine cracked.) The center may still be giggle a little, but will set as it cools. Allow to rest 20 minutes (minimum 10, I got impatient) before serving. I went back for seconds on this and my husband declared “dinner club/party quality”. Keeping in the theme of food, loved seeing Yepindeed’s post on her favorite food blogs today! Some I knew, some I’ll have to check out. After eating this weekend’s success, I’m going to be adding the Kitchn and farmgirl gourmet to my faves list.